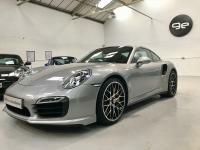 Additional information We are delighted to offer this top of the range 991 Turbo S in superb condition having covered only 12,500 miles from new. 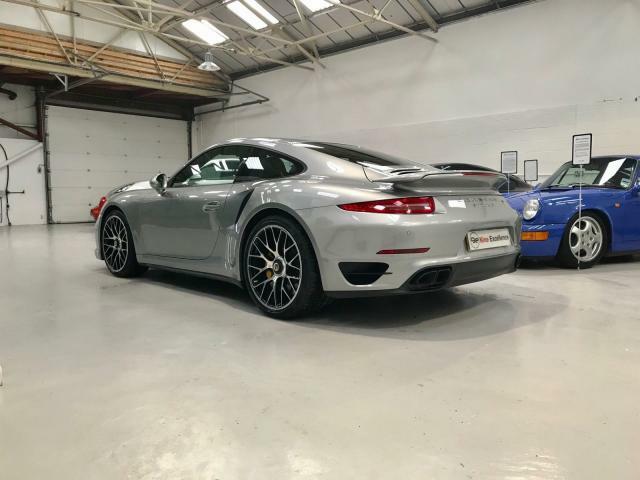 Porsche through the generations have improved the 911 Turbo and the 991 Turbo S is the peak of this evolution in our opinion. The car is stunning in GT Silver, with black leather and carbon trim interior. 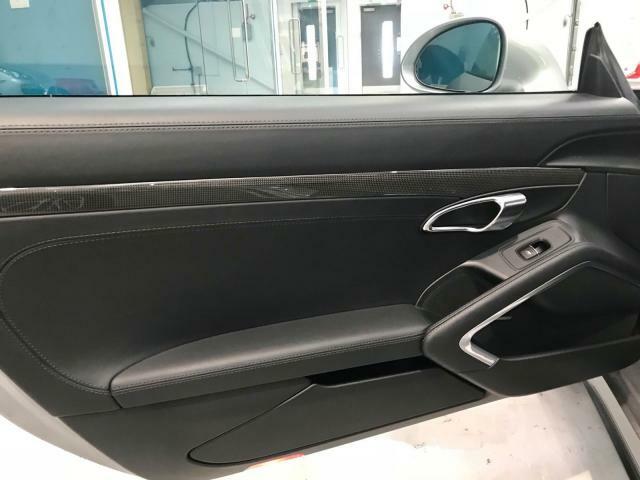 Non Sunroof version, 18 way adjustable sport seats provide the perfect seating position. 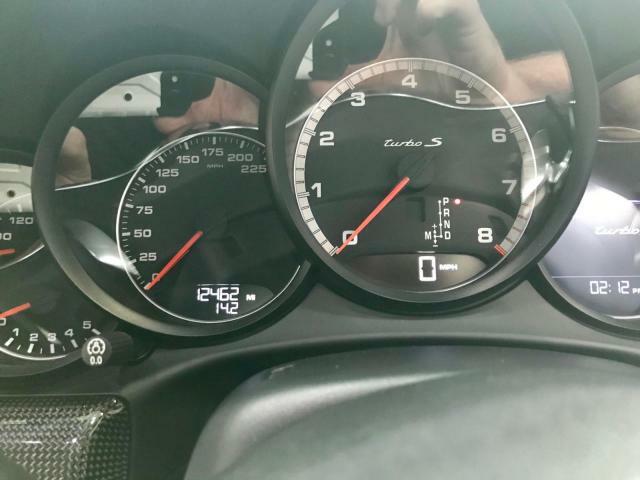 Performance in this car is sensational – there is torque everywhere in the rpm range and yet so civilised when driving around town. 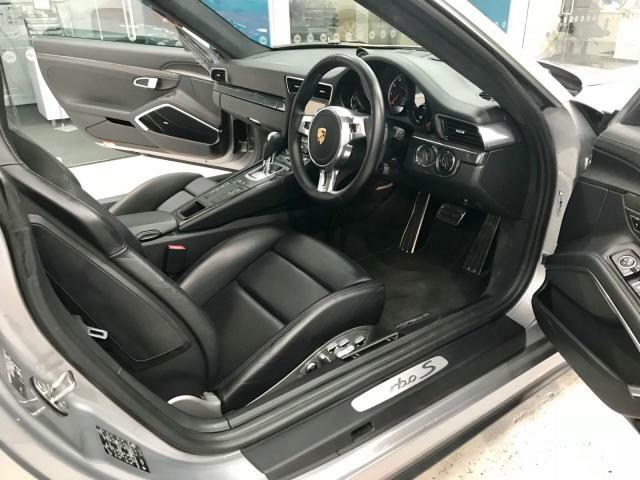 The PDK gearbox gives you the best of both worlds, an auto function for when you want to relax in traffic and when you want to push on, the Sport Chrono Package together with the PDK offers different shifting patterns and manual interaction through paddles on the steering wheel. 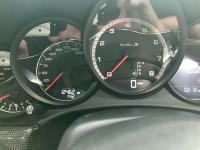 If you have not driven a PDK gearbox you will be amazed how fast the gearbox is. 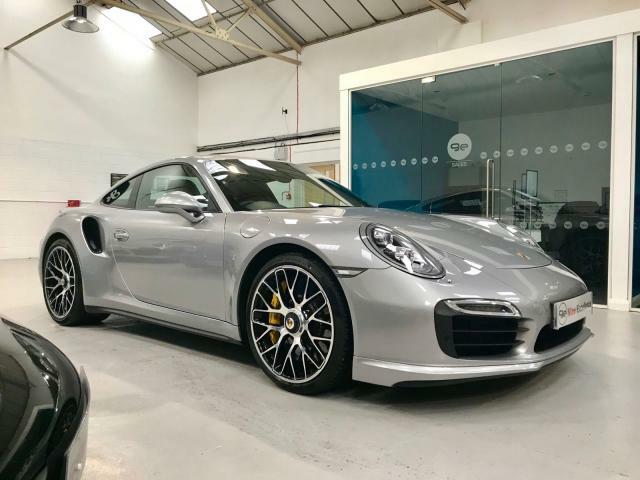 Features include PDK Gearbox, Sport Chrono, 18 way adjustable Sports Seats, Porsche Torque Vector (PTV), Dynamic Engine Mounts, Ceramic Brakes on Turbo S 20inch wheels with centre locks, Tyre Pressure monitoring, Automatic Distance Control, PCM 3 with European Navigation.. The car has had a paint protection film fitted to the front of the car, including wing mirrors and rear arches. The car has had two services to date in line with Porsche schedules which included the recent first major service.Car will be serviced with 12 months MOT prior to delivery. 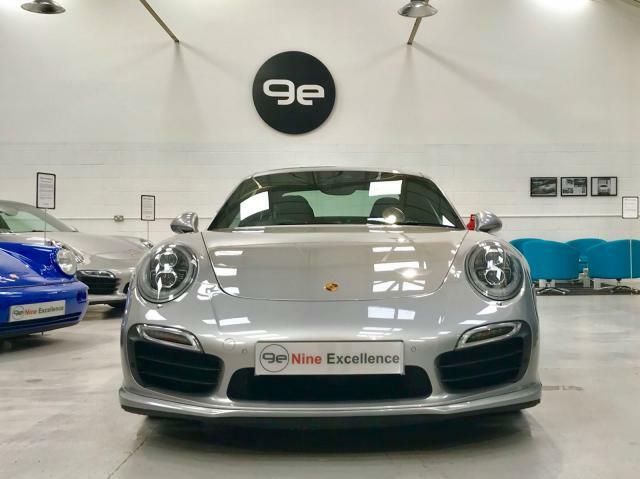 Nine Excellence are the leading UK turbo specialists, so you can be assured that this example is in superb condition. 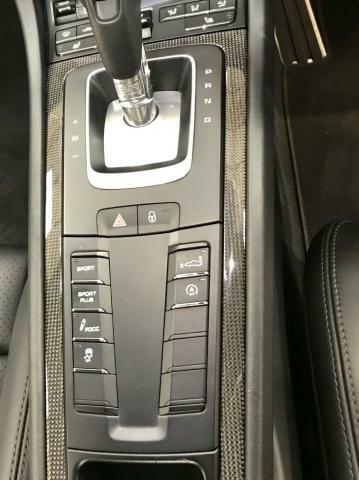 Car comes with in house 9e warranty.